Turkey covers an enormous amount of land, 783,562 km² to be exact. Many empires throughout history have existed within the boundaries, so obviously, thousands of historical sites have been uncovered and it seems every month; a new and exciting discovery sends international and domestic history experts into a joyful frenzy. 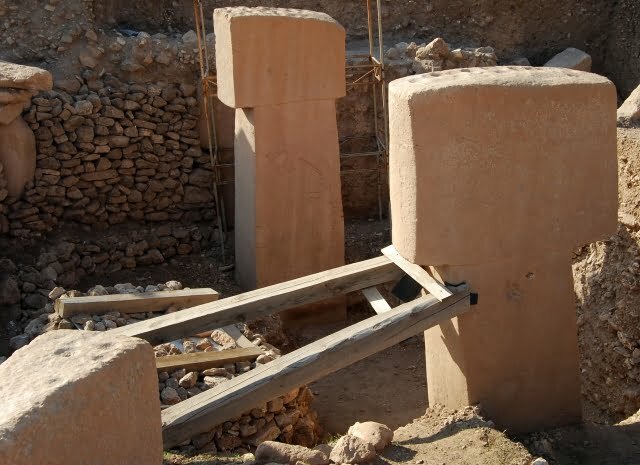 The ancient site of Göbekli Tepe temple in Sanliurfa Turkey was a pivotal moment in the career of Klaus Schmidt, a German archaeologist who was desperate to lead his own team, in uncovering ancient sites in Turkey. No proof had ever been found to suggest, man was using religion during this era. All the hype about the ancient site encouraged me to visit it so while staying in the city of Sanliurfa, we hired a car and set out to find it, by driving along deserted and winding roads. We reached it in remarkably quick time but to my astonishment, I saw no one else apart from two young lads on a motorbike. The site was eerie and quiet, with no crowds or large coaches full of chattering tourists with cameras. By the entrance, in front of a small table filled with guidebooks, was an old, scruffy man. He said not many people came to visit it anyway but after the start of the Syrian war, foreign tourists have dwindled in numbers. Great, I thought. More space and time for me. We walked up to the remains at the top of the hill. A wooden pathway constructed around the excavations allowed us to view the stone pillars from all sides. With the zoom of my camera, I saw the intricate carvings and signage gave the same information that I had previously read on the Internet. All the speculation regarding the origin of Gobekli Tepe, perhaps lessened the “Wow” factor for me but I wanted to see more. Where is the rest of it, I asked? That is it, replied the old man. It had taken approximately 30 minutes and I was more impressed with the landscape views than the actual site itself. Feeling immensely disappointed, we left and drove back to Urfa. 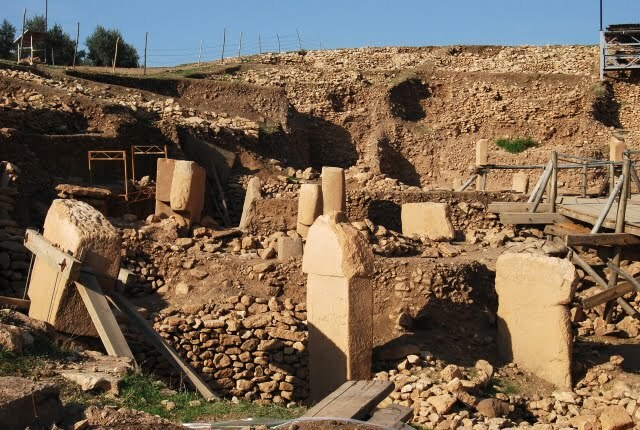 Why did Gobekli Tepe Temple disappoint me? 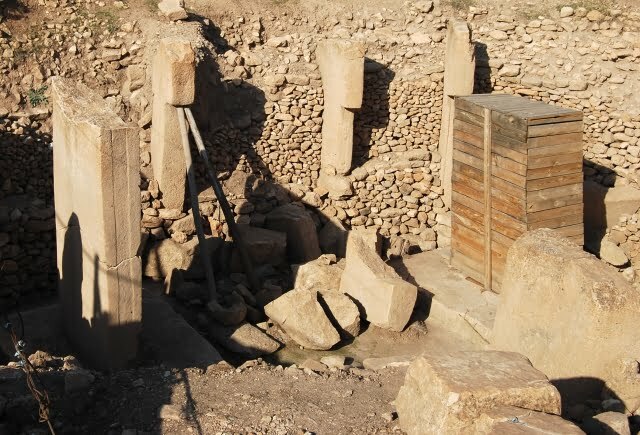 My disappointment with Gobekli Tepe baffled me. Since I started writing, my interest has veered more towards historical sites and I was eager to see the discovery that turned the international history world on its head. In many destinations, I have often left friends sitting in restaurants while I head off to the nearest archaeological find or historical building. I thrive on educating myself about the history of these lands. So why was I not impressed? Should I have gone with a knowledgeable guide? Am I placing more emphasis on its small size rather than its significance? Did my extensive research before visiting, actually result in information overload? I have read articles by other travel writers and bloggers and their praise of Gobekli Tepe astonishes me. In fact, I have held back on writing this article for many months, because I felt intense shame at my lack of enthusiasm for the site. So, I am probably going to be shot down in flames for writing this, but I would not recommend making a special trip. If you are in the region of Sanliurfa, then go, otherwise leave it until more of the site has been excavated. That is of course, unless I am missing something. If you have been to Gobekli Tepe and can tell me anything that will turn my disappointment to respect, I am more than willing to listen. A superb area Ark – Hope to make it back one day. How are things at the moment there? If you travel to Sanliurfa, remember that is under the occupation of the Turks who are not indigenous to the land. The land and the culture and the belief system practiced by the people of Gopke Tepe, is of that of the Kurdish people. We hope that you travel safe and help to end Turkish occupation of Kurdistan. I will definitely go back in a few years Kristen – Hopefully can have a better update. Saw your post on the pigeons of Sanliurfa. Did you see them as well in the nearby town of Mardin? It is well known for pigeons that do somersaults! I’m 100% in agreement with you. We visited in October 2014 and views at the site are even more obscured now. I was impressed at how much more I could see in your photos! History is in the making here without question, it’s just not so exciting to look at right now. In a few years I imagine it will be amazing. I do think we build things up in our minds and when they don’t meet those expectations, they are disappointing. That happened to me with Plitvice Lakes in Croatia. Everyone raves about how beautiful it is and we found it overcrowded and just okay in terms of beauty. I wrote a post about my disappoint and people still tell me I’m crazy for thinking that. To each his own, I guess. Wow. Always wanted to ask how people get involved with these digs? After all, it is not likely that you will see a job advert for them. I am assuming you have to have an educational background? Yes, I am in the lucky situation to be involved in the research project. Interesting finding and facts! Thank you for sharing them! It is always great to discover new things – even if, sometimes, that means getting a whole new perspective! Wow Jens – That is heavy reading although glancing through it, it does provide a lot more new information. Did you take part in the digs? I can follow your reluctand reaction to seeing just a bunch of stones at rubble hill. To some degree. But you have to keep in mind that the visito can only perceive the monumental material remains of a much more complex process in the history of mankind: the transition of a hunting-gathering subsistence to sedentary farming and the domestication of animals and plants. It is hard to illustrate and imagine something as abstract as this at an excavation site, an ongoing excavation site. Surely, there’s more. We are still in the middle of uncovering the structures the mound is hiding. 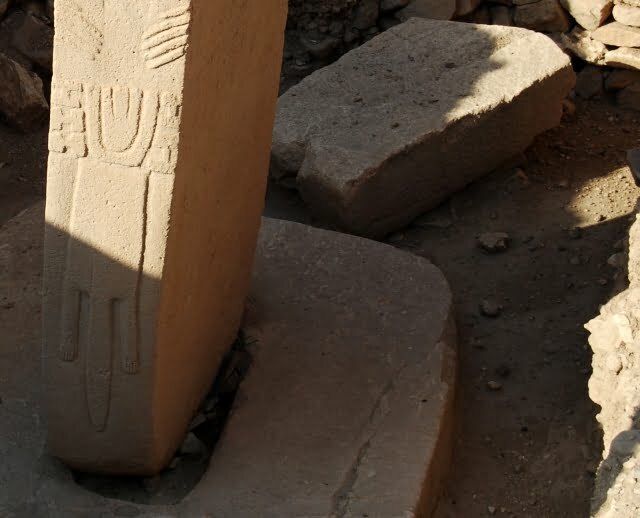 Maybe these recent papers (in which we are discussing the implications and probable interpretation of our research) can give you a better understanding, why exactly Göbekli Tepe is so peculiar. Regarding the current wooden construction: This is just a preliminary shelter, created in preparation of the permanent shelter which is to be built soon. We are aware that visibility of the pillars and enclosures is somehow limited due to this, but let me assure, it’s only temporarily and the final roof construction will allow a much better access and view once it is completed. Good point Kenin, i never thought of that. I would have stood in more or less the same spots as them. That will make it harder Jenny. Mount Nemrut is still on my bucket list. Will get there one day! Derek, if it had been crawling with archaeologists, I would have been in my element. how wonderful to be around such knowledge. Turkey is full of above ground ruins as well as beneath the ground. This site is a huge discovery and I think you were lucky to see it at this stage before it changes even more. How exciting it must be to work on it. Natalie, you know that we’ve traveled all over Turkey as well. 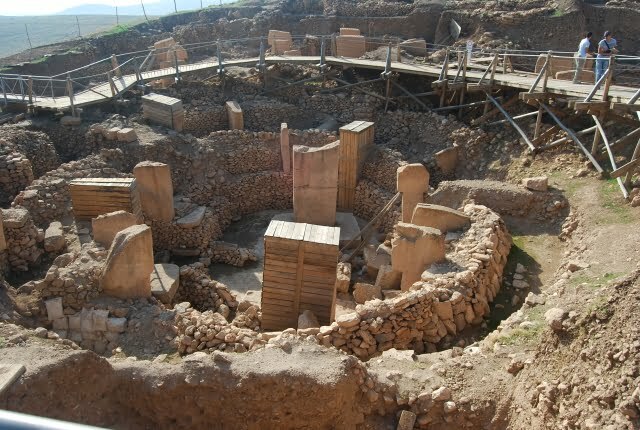 Gobeklitepe was high on our travel list too during summer of 2012. We also had just been to Gaziantep where we ate amazing food and saw the awesome Zeguma Museum, visted Urfa and climbed up to the top of Mt. Nemrut at sunrise. So yes, seeing Gobeklitepe was a BIG disappointment for us too. The road getting out there wasn’t the greatest in our little rental car either. I loved being the only ones out there too, but I kept asking myself, is this it? Shouldn’t there be more? I appreciate you are honest in your review. We too were the only ones visiting at the time of our trip in October 2013. I found it very interesting but having come from Mt Nemrut, we were expecting something quite different! They are building wooden structures over the site which I think are going to make it even harder to see and photograph in the future! I can imagine your dissapointment, though even the thought of the existence of this place gets me excited, and having an access to it and visualising what will be excavated next. I truly hope they keep going and show the world what Gobeklitepe is made of. Spectacular landscape! I’ve heard so much about Gobekli Tepe — that is definitely one of the places at the top of my list to see when I finally make it to Turkey. As such I am tad disappointed to hear about your lackluster experience there, especially because I see many similarities between us in how we thrive on history and the knowledge that comes with it. I will admit that in all honesty I thought more of it had been excavated than shows in your pictures. In my mind I pictured a site crawling with archaeologists and tourists crowding around in the distance, anxiously straining to see as much as possible over the excitement and commotion. Shame to hear it isn’t quite what I’ve made it out to be in my mind. 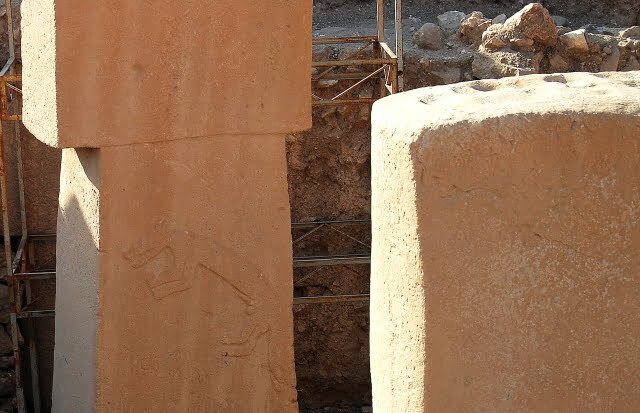 I had never heard of Gobekli Tepe but was intrigued after reading your post. It does seem to be quite significant within the larger context of human history. Here is a link to a 2008 article in Smithsonian online magazine that offers quite a bit more insight – here’s hoping it will help turn your disappointment into enchantment and awe. I have enjoyed your posts for several years and hate seeing you disappointed! Our world is an amazing place. . . it’s the discovery and uncovering of knowlege that is spectacular in this case. 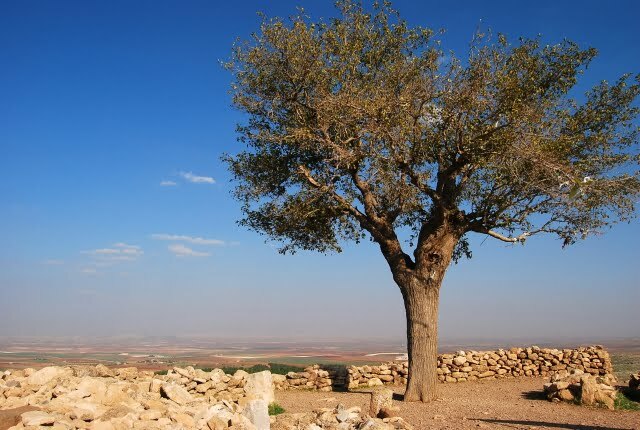 Imagine trying to get excited about the site where the oldest fragments of human remains were discovered in Ethiopia, East Africa, just a dusty river bed – like Göbekli Tepe the views around are what draws your eye and gets the camera out. And yet ape-like men and women – hominids – walked the earth of 4.5 million years ago, which is surely exciting to know and DNA has been extracted from a 400,000 year-old tooth, which is utterly amazing! Being ‘amazed’ is fun!